I-MountTM (patent no. 5,859,917) tweeter kit with StarfishTM OEM adapter included to provide easy installlation in a variety of locations. A true high-fidelity 6-1/2" (165mm) component speaker system for your car. Truly great audio is a pleasure that few people experience in the automotive environment – but you can. 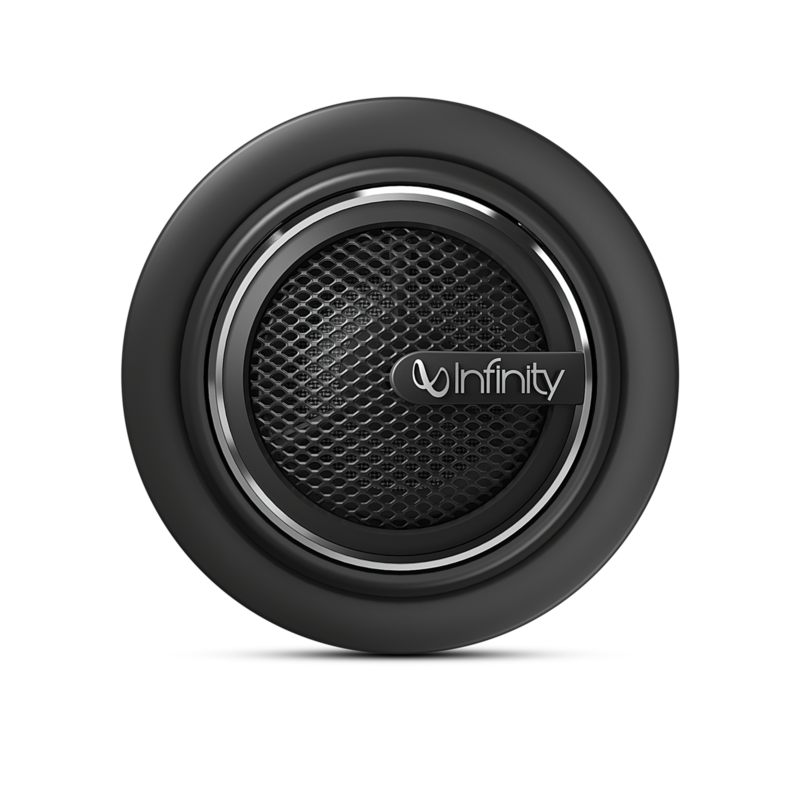 The Infinity® Kappa® Series 60.11cs 6-1/2-inch (165-millimeter) two-way component speaker system takes the sound in your car to a whole new dimension. The Infinity brand has a pedigree of technological innovation in reference-quality audio reproduction, and much of that technology is ingrained in these speakers. 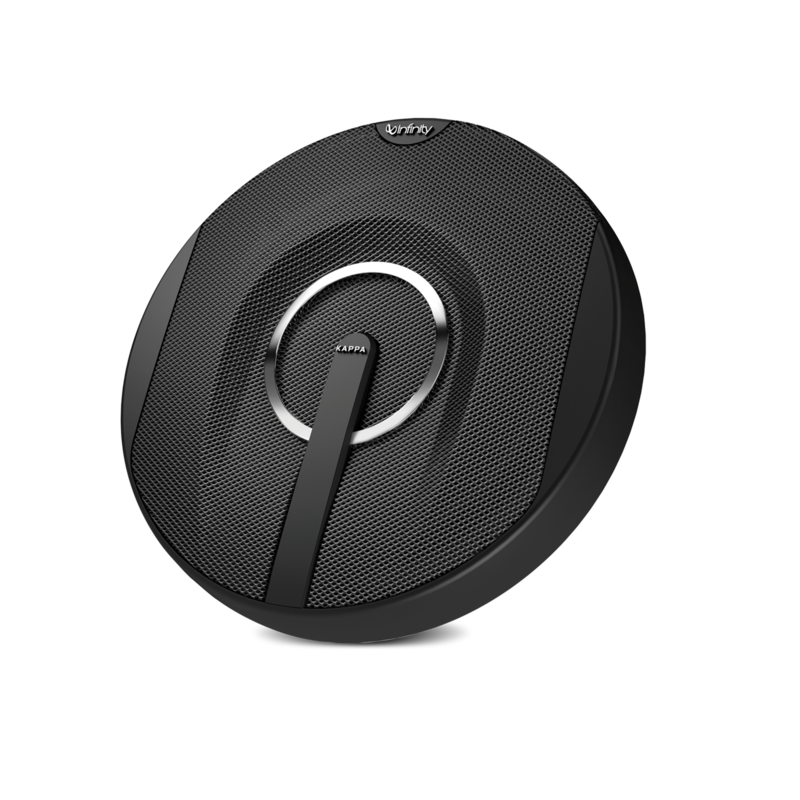 The system’s woofer features patented, formed-glass-fiber Plus One® (U.S. patent no. 7,548,631) cones in proprietary Injected Carbon Glass Matrix (iCGM) frames. The system’s low-hysteresis polyproplyene capacitors and low-loss air-core inductors in the passive filter networks are of ultrahigh quality. 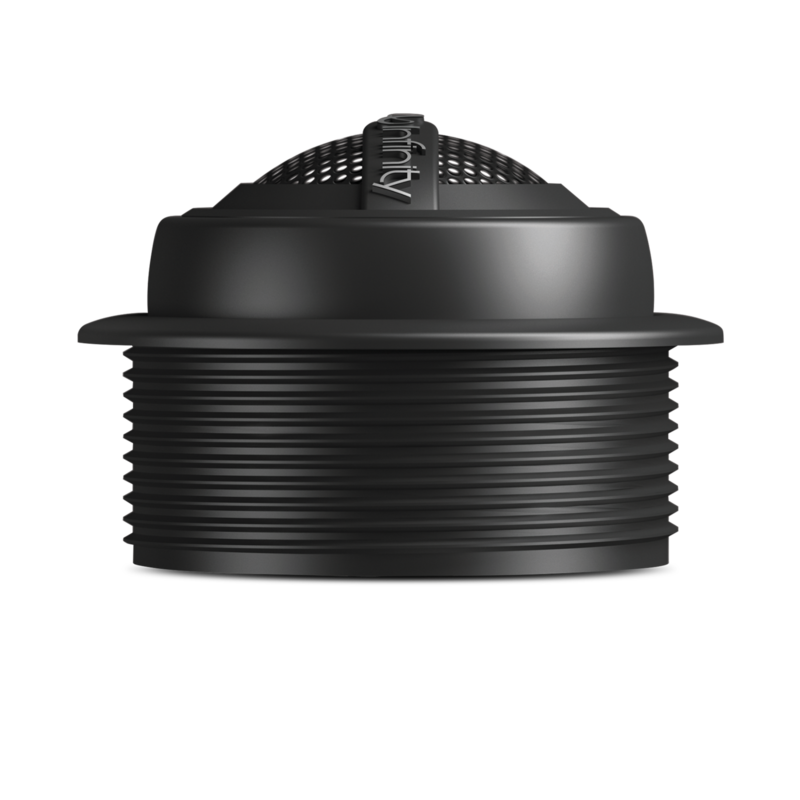 The system’s 3/4-inch (20-millimeter) tweeter is a soft-dome, edge-driven fabric diaphragm for improved power handling and wide high-frequency dispersion. Even the soft-touch, rubberized finish on the protective grilles shows attention to detail. 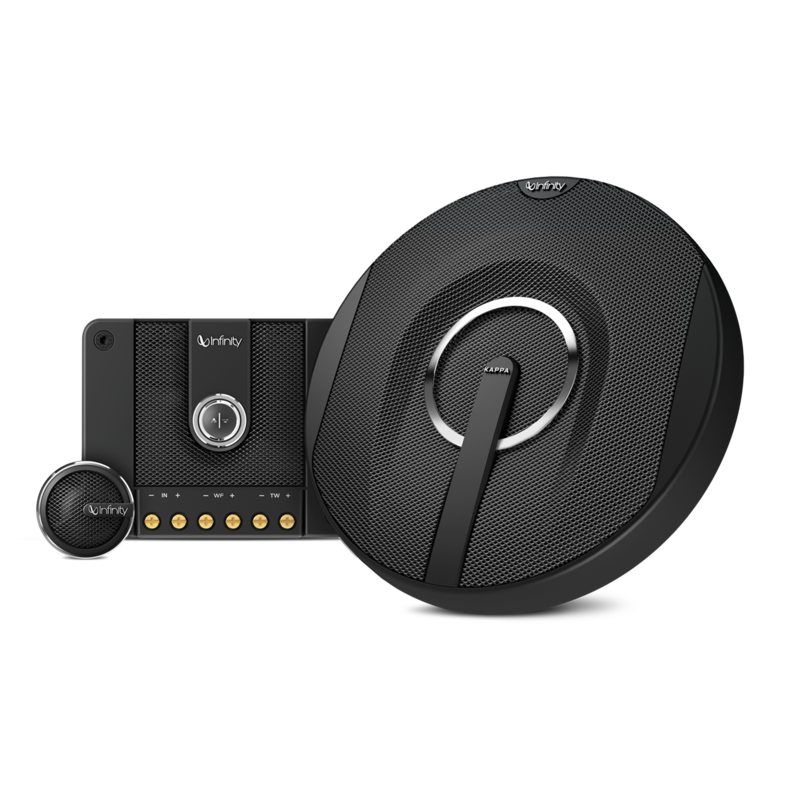 The Infinity Kappa 60.11cs components have what it takes to turn any car’s audio system into a high-fidelity audio lover’s dream system. Speaker Mounting Diameter (in) 5-1/8"
Speaker Mounting Depth (in) 2-1/8"
Tweeter Mounting Diameter (in) 1-15/16"
Tweeter Mounting Depth (in) 11-16"
Kappa 60.11cs wurde bewertet mit 5.0 von 5 von 1. Rated 5 von 5 von HippiLettuce aus Best component system I've owned I bought these components to go along with my Infinity Kappa 8" subwoofer in my Nissan Frontier. The sub sounded like it was a 12" instead of a 8" so I knew that these components would sound just as amazing. I was wrong, they sound better then I ever hoped! And I was only running 45 watts RMS at 2ohm into these bad boys. Sadly I was only able to try them out a short time before rolling my truck not more then a few short weeks later. I was only able to recover one tweeter and one 6.5" sub, however that will not stop me from buying another pair once I have another vehicle. These speakers are very well built, and they live up to if not exceed the expectations that Infinity has has built for themselves as being one of the best in car audio. If you are looking for a new pair of speakers because yours have gone out, or simply just want to hear excellent sound quality without breaking the bank then buy these. You won't regret it and you'll have sound quality that will make heads turn and Make you never want to leave the car. I'd like to ask about the impedance of this product. The 2 ohms seems very low - can I connect this product onto a CD receiver if in its manual was 4-8 ohms mentioned? (Pioneer DEH-80PRS)? Hi Bimix, and thank you for your interest in Infinity car speakers! The average impedance for the speakers is indeed 2 Ohms. If your Pioneer is specified to drive a load of minimum 4 Ohms, you are bound to encounter problems if you try to play loud. At moderate levels, there should be no problems, though. Heat damage to your Pioneer will be the most likely result if you push it too hard.